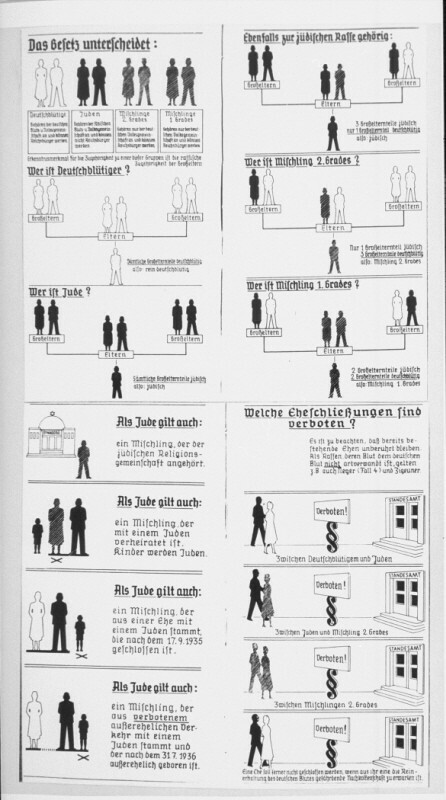 Chart illustrating the Nuremberg laws. The figures represent Germans, Jews, and Mischlinge. Germany, 1935.